On April 3, 2015, I received a call from the Archbishop inviting me to become the new pastor of St. Maximilian Kolbe in Delano. This was my first pastor assignment, and when I discovered that my new parish had a school, I was thrilled. After serving as parochial vicar at St. Stephen’s Catholic Church in Anoka for two years and then St. Michael Catholic Church in St. Michael for another two years, I was ready to lead a parish of my own. Both roles represented great experiences with the additional privilege of ministering to Catholic schools. 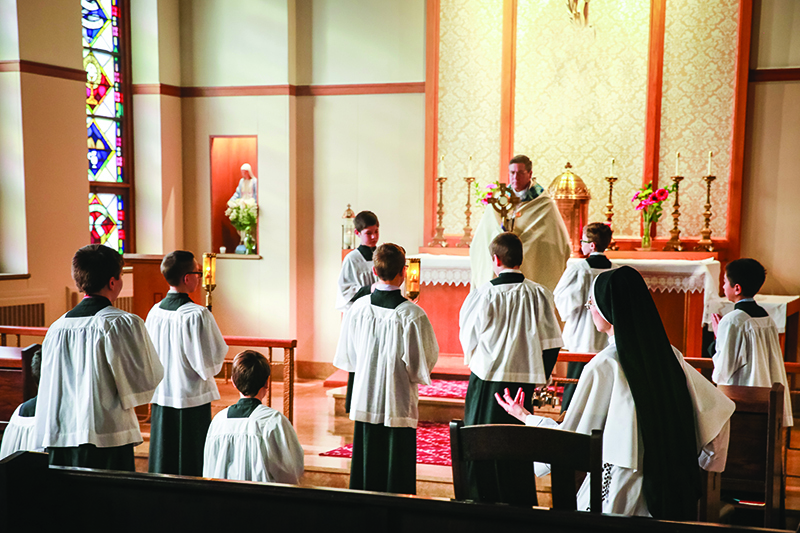 Through my eight years of priesthood, I’ve discovered that a parish school brings a vibrancy to a parish. It’s a place where, on a daily basis, children grow in Christian discipleship, and parents show that Christ is a central part of family life. The daily investment and intentionality displayed by these families directly carries over to their service to the parish as a whole. Any pastor blessed with a parish school will find that some of the most devoted families in the parish are often involved with the school. This shouldn’t be surprising. In all areas of life, the more we love something, the more time and resources we invest into it. Parents who love the sports their children participate in will drive countless miles, invest in sports camps and purchase the best equipment. Families involved in Boy Scouts or Girl Scouts pour themselves into helping their children obtain badges and meet fundraising goals. Catholic school parents deeply desire to form their children in the Christian ideal and readily seek out opportunities for Catholic education. Like sports and extracurricular activities, success requires effort and sacrifice for both students and parents. I see families investing in Catholic education because they desire for their children to know, love and serve God with their lives. These same families infuse energy into parish life. The direct correlation between a healthy parish school and a vibrant parish is clear. For every pastor of a Catholic school, it is a great blessing and one that makes me truly grateful.